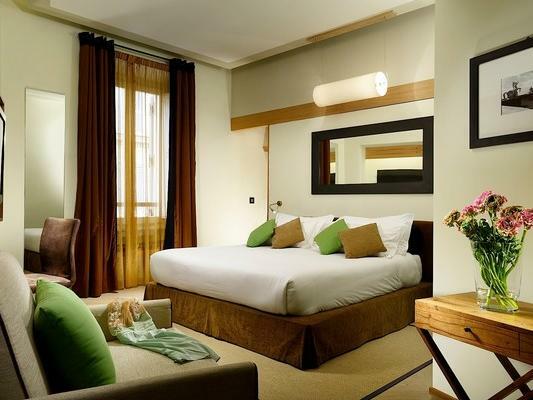 The Double Superior Room at Babuino 181 is an intimate, luxury accommodation in the center of Rome. Designed in contemporary Italian style with warm wood, original art & rich shots of color. 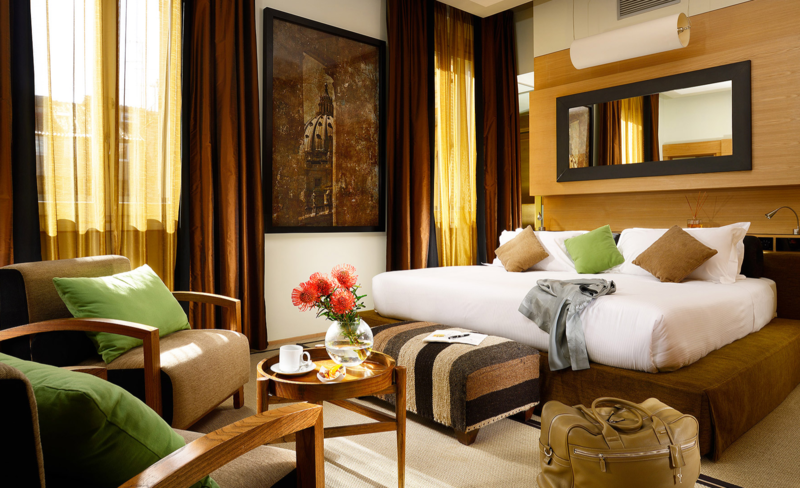 Contemporary comfort. 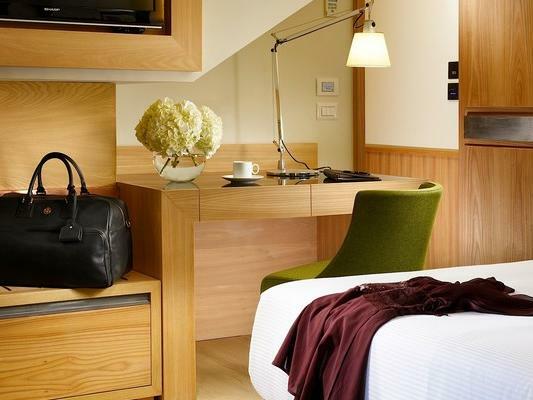 The Deluxe Room at Babuino 181 offers the best in Italian design. 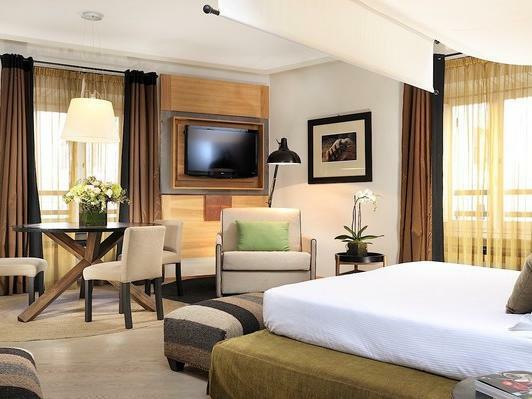 Complete with a king-size bed with Frette sheets and a sitting area furnished with ample armchairs and a work area. Serious Space, serious style. 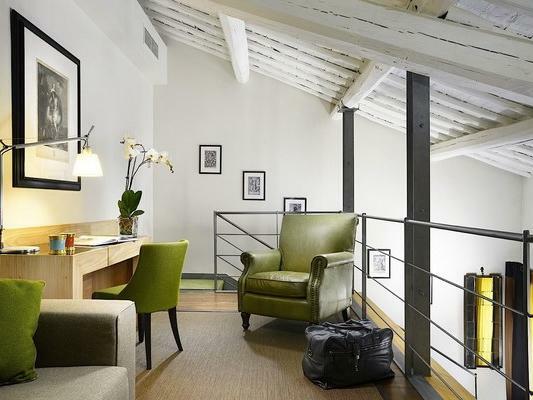 Our classic suites are delightfully large and their graceful modern interiors create a serene refuge in the center of Rome. Palatial size meets contemporary style. 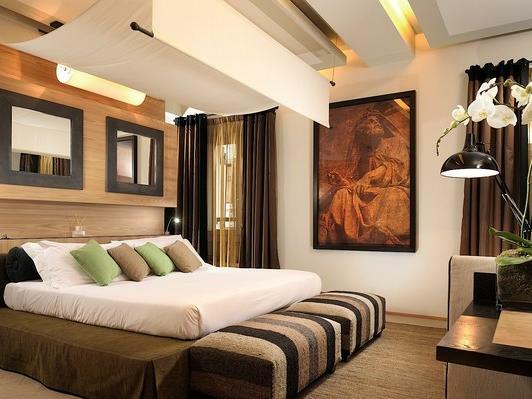 Our Deluxe Suites at Babuino 181 combine flawless architectural interiors with chic Italian contemporary design. 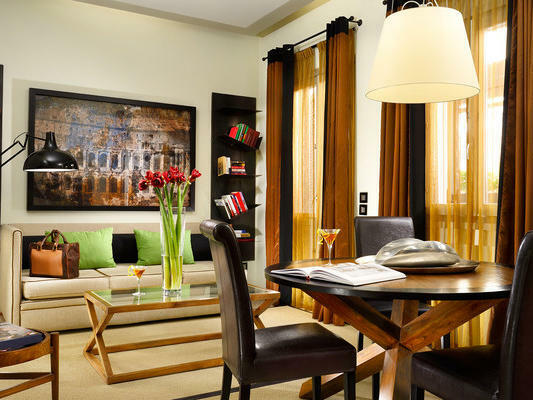 The Moncada suite is the ultimate central Rome Pied a terre. This split-level, suite has a high beamed ceiling and an upstairs loft for privacy & comfort. 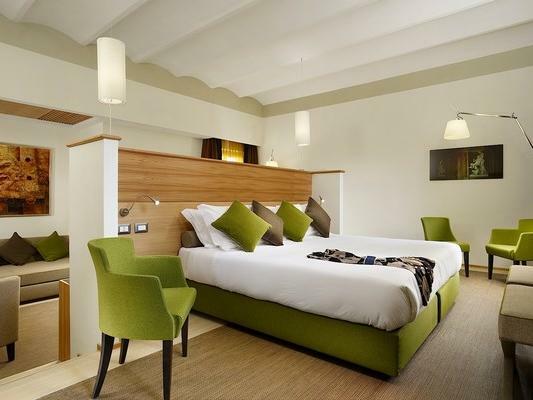 Fabulously stylish and fantastically spacious,the Babuino 181 Luxury Suite is our largest suite in Rome. Designed with a large, separate living room, be prepared to spread out in style.